Keep your brow dry, eyes clear and spirit up with Brooks Distance Headband. Three stretch bands combine into one hair-steadying performance accessory. The DriLayer® poly-stretch construction makes for a snug, comfortable headband. 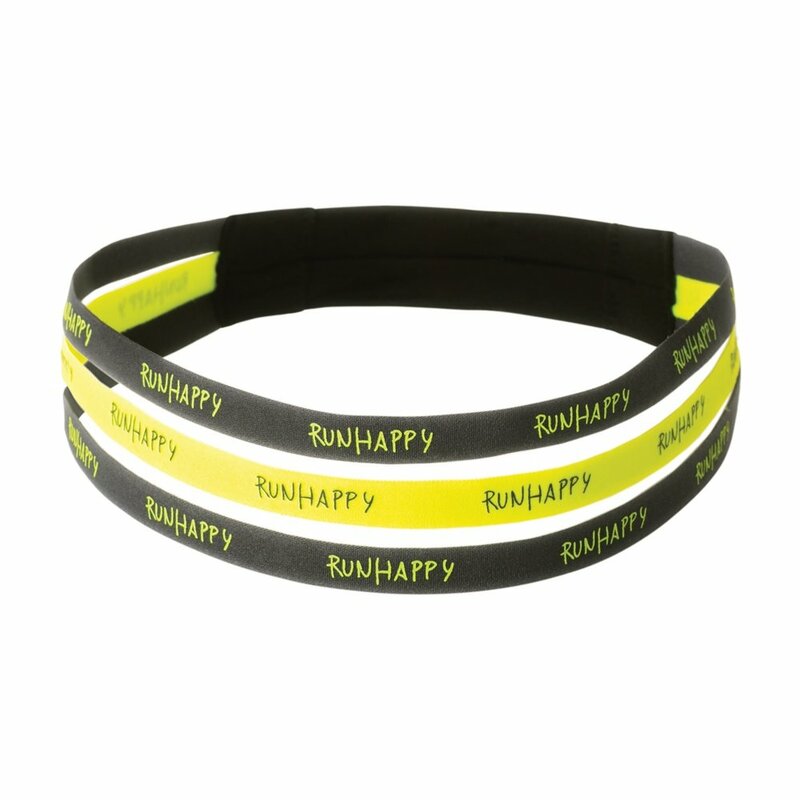 The "run happy" print reminds you what it's all about.